The first two pictures from Verona from a Sunday morning. We never actually saw the band to play or heard the music, not even from the distance, but saw various people, in all ages dressed in their band gear and with their instruments. 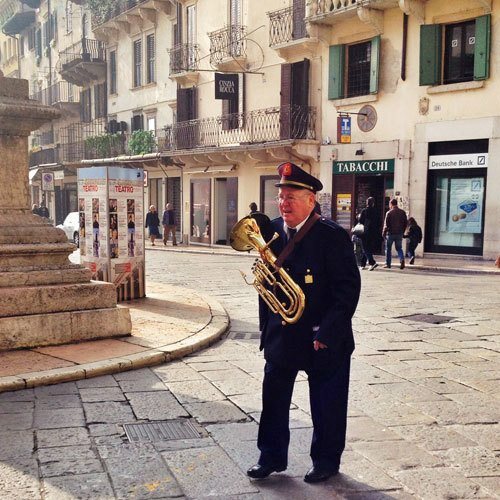 Speaking of bands… There is no Italian party without a good band. During our press trip to Abruzzo, somehow every time we were about starting to drink our first, sometimes second glass of wine of the night, the band showed up. One night we were having a cooking class in a large country kitchen – and suddenly the band was outside the kitchen window playing music for us. A few minutes later we are having an international dance party in the kitchen with a band and all! The people in the kitchen are really the ones I would like to highlight though. Like the grandmother and son team of teaching us to cook pasta. And the team of cheese makers in Scanno. Food isn’t the only one still made in very traditional way in Italy. You can still find artisans who make everything from shoes to watches from start to finish. 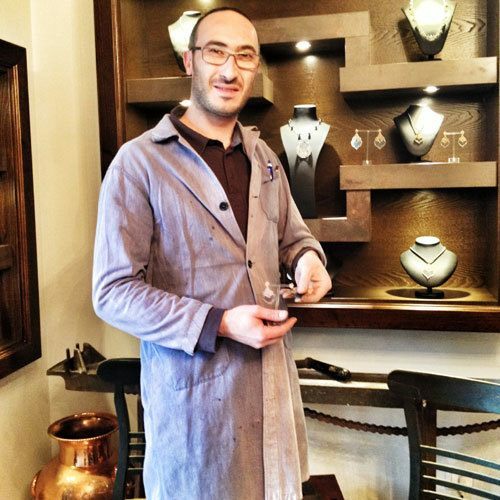 Here is a costume jewelry maker from Scanno, whose family has been making costume jewelry for a few centuries, and he is still today continuing the tradition with his own jewelry business. I couldn’t do this post without mentioning the amazing people in Italy who present the tourism industry and who are trailblazing in both educating the tourism industry in the country of today’s ways of marketing and customer service to meet the needs of today’s travelers, and promoting Italy as a tourist destination. I’ve met so many amazing people in the Italian tourism industry this past two weeks who genuinely love their country and want to share it with you. Special thanks goes to Emma Taveri who invited me to speak at the TBD-Italy conference and attend the Travel Trade Italia trade show. A huge thanks also goes to Nicholas Montemaggi of the tourism board of Emilia Romagna who extended an invitation for me to stay in Bologna one night in the Blogville house. And then there is Adriana… Adriana Miori who showed us and made all of us to fall in love with the Abruzzo area of Italy. 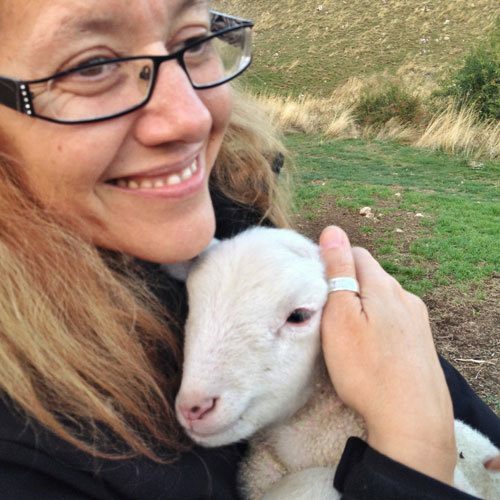 Adriana pictured with a lamb from our sheep tour in the mountains. Oh, and of course… The shepherd and his sheep in the mountains. I hope you will follow my travels to Italy via my Instagram accounts @skimbaco and @katjapresnal and discover more about Italy with me. I will be posting more Faces of Italy photos on my Instagram accounts today. 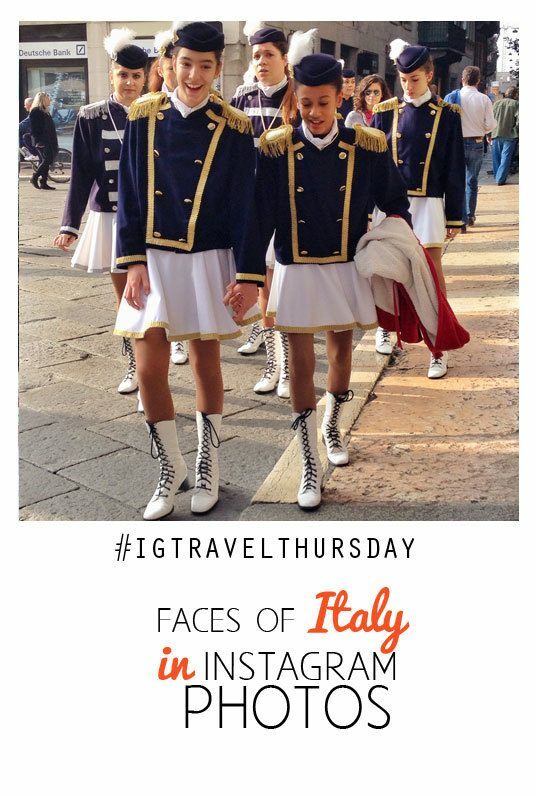 I loved seeing your photos from the Italy trip! Italy is one of the most magical places I’ve ever visited…the people, the food, the art, the culture, the WINE!! All amazing! It’s lovely to follow your travels in Italy, and see some “real” life photos too besides the biggest and best-known tourist attractions! What a fabulous looking get away! I would kill for some hand made pasta and that cheeeeeeese! YUMMY.